Kirkby House has been trading for eight years and are proud to offer fresh clean rooms which are comfortable in size and come complete with fluffy white towels, tea and coffee making facilities, flat screen televisions and free Wi-Fi. Some rooms work desks for the business guest who needs space to use a laptop. 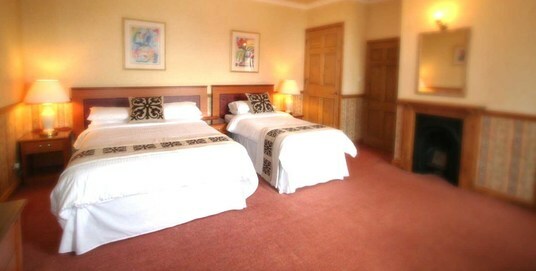 Kirkby House accommodation has rooms which differ in size depending on your requirements from twin ensuite with two single beds, twin ensuite with double and single beds, triple ensuite, large master ensuite with king size bed, single bed and Jacuzzi, and a double non ensuite with separate private bathroom for the guest on a budget. A large room complete with king size bed, seating area, work desk & Wi-Fi, Large screen TV, large Jacuzzi ensuite, his & her sinks, bidet. A standard ensuite single room with, Wi-Fi, tea & coffee making, shower and toilet. 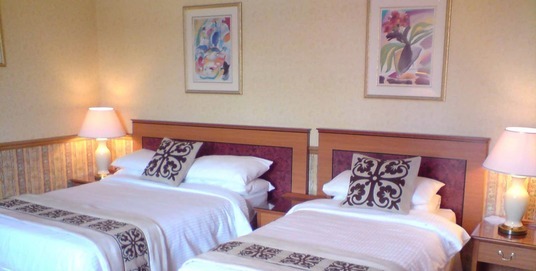 A standard ensuite twin room with, Wi-Fi, tea & coffee making, shower and toilet. 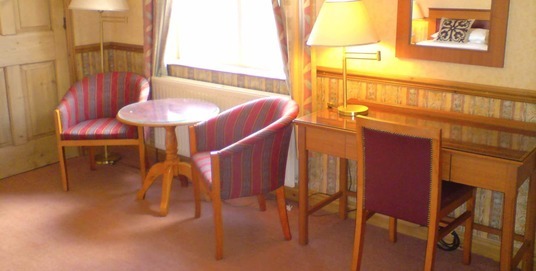 A non ensuite double room with, own bathroom down hall, Wi-Fi, tea & coffee making, bathroom. Hotel style en-suite accommodation, a master suite with double Jacuzzi, a farm house style restaurant serving freshly cooked food, separate guest lounge, licensed bar, secure parking. Located in the heart of the Midlands with road and rail networks close by, within 2 minutes walking distance of Kirkby Mallory Race Track. Attractions close by include Stoney Cove, Space Cente, Shackerstone Railway, Twycross Zoo and Bosworth Battlefield. Fully licensed bar serving bar meals Monday to Thursday and a full restaurant service Friday, Saturday & Sunday lunch in The Old Dairy Restaurant. 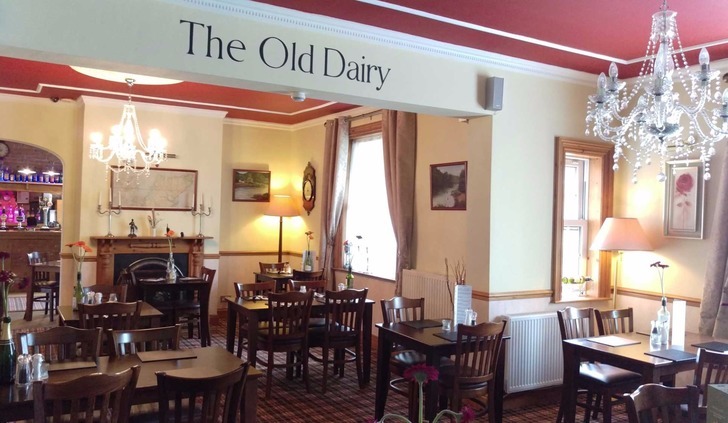 The Old Dairy restaurant and bar at Kirkby House. 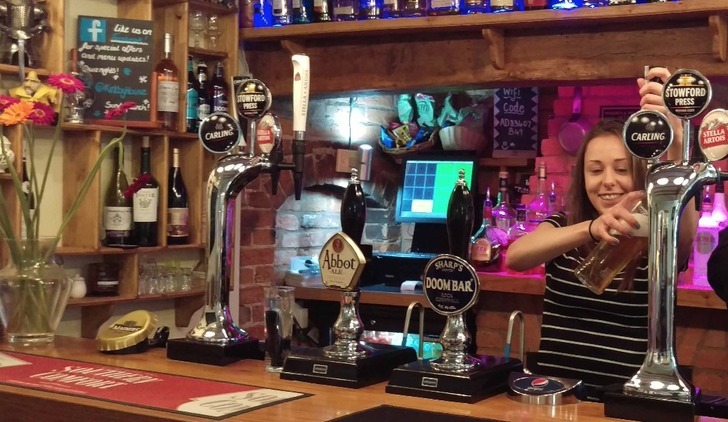 After a major refurbishment in 2014 our new bar and restaurant opened in December 2015.